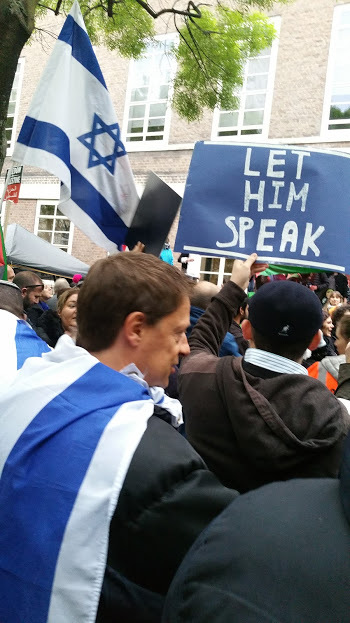 HE Mark Regev, the Israeli Ambassador, spoke at the School of Oriental and African Studies (SOAS) in Central London on Thursday evening. 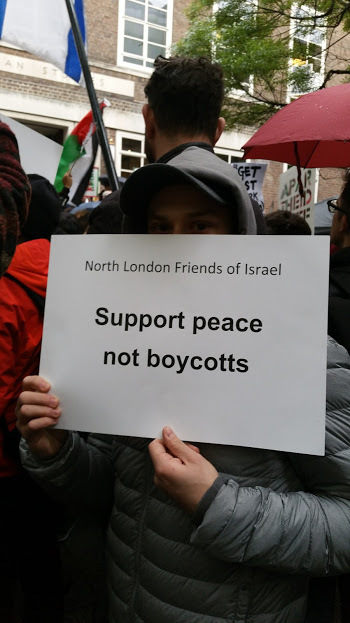 Naturally – given that SOAS is a hotbed of the anti-Israel movement – there were anti-Israel protests and demands for him to be banned. In the past, the protests and the Palestinian flags would have been all that were in evidence. Today, however, such things do not pass unopposed. 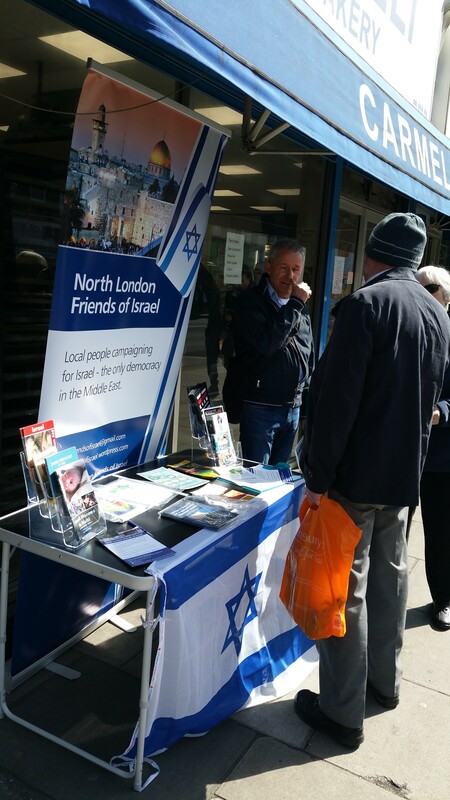 North London Friends of Israel joined the call for a demonstration in support of Mark Regev, free debate and Israel. Thanks and well done to all who came. 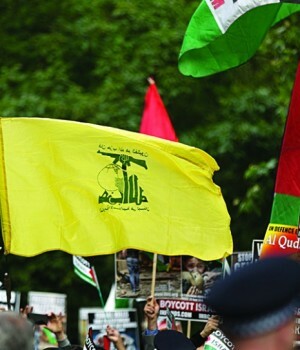 This year, the notorious Islamist hatefest known as al-Quds Day is planned for 18th June. 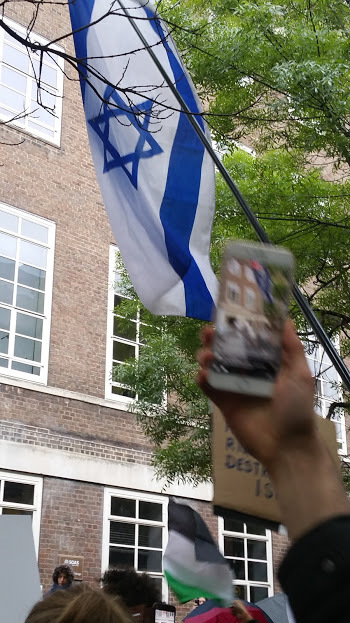 Yes, that’s right – such a short time after a murderous Islamist terror attack on London, supporters of Islamist terror are proposing to parade through the streets of London in support of the Islamist terrorists of Hamas and Hizbullah, and to advocate the extermination of the Jews of Israel. Please protest to your MP, the Mayor of London and the government about this racist march on the streets of London, and ask them to prevent this sickening display from taking place. Let’s keep terrorism and racism off our streets. This is not a march for human rights, it is a march for racism and genocide. It is offensive to all Londoners at a time when we are coming to terms with terrorist atrocities on our streets to have terrorist sympathisers parading in the heard of London. 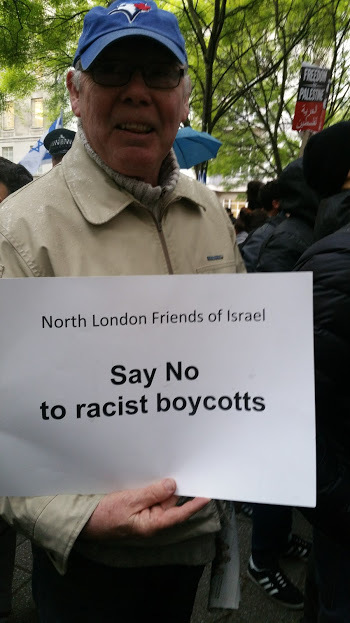 The sponsors of al-Quds day are deeply antisemitic, and in past years the march highlighted banners and slogans which amounted to violent Jew-hatred. The march can only harm communal relations at a time when we should be coming together after recent tragic events. 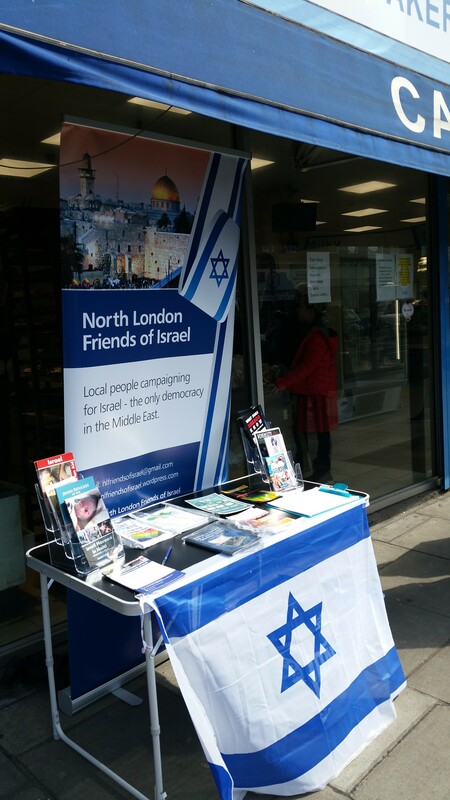 This time in Golders Green, where the sun shone and we gained a lot of positive responses to our message. 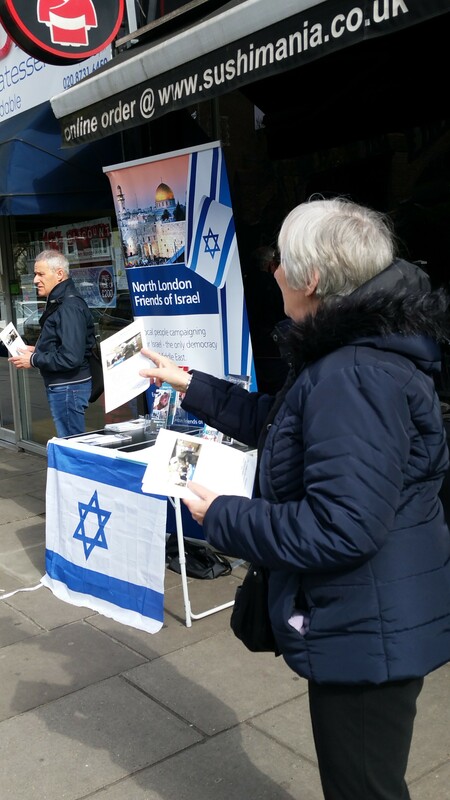 Thanks to all who helped man the stall and distribute leaflets, and those who signed up for our mailing list. Especial thanks for an on-the-spot donation from one kind sympathiser!